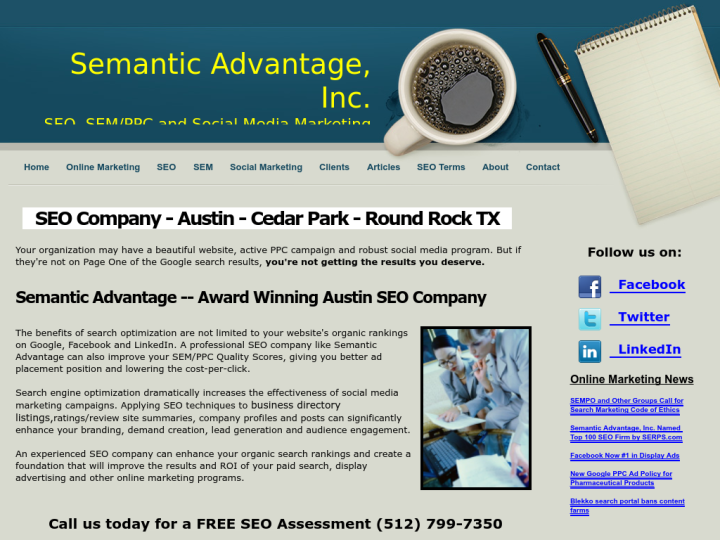 Semantic Advantage, Inc. is a search engine optimization company in Austin, Texas which provides website optimization services for the clients and business owners throughout Texas. With the effective services of Google search engine optimization, Internet marketing and social advertising; you get focused and relevant rankings on internet. We provide you the ethical, organic and user friendly designing and optimization services which offer you the desired search website ranking and help you to make your place midst your competitors. Increased our Google search rankings with search engine optimization and social marketing. Great value. I would recommend this company to anybody starting a new business website, or if you do not feel your existing website is working as well as it should. 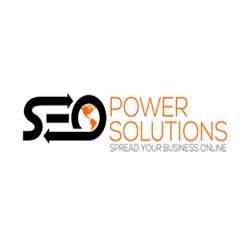 They know the business very well and knows the key words to improve the search engine results.If your looking for somebody that goes above and beyond to help your business to grow, then call Semantic Advantage. Semantic Advantage has been very successful in improving our SEO which has already resulted in several new customers for our business. They have been very responsive to my suggestions and have always been glad to explain what they are doing in terms I can understand. The cost has been very reasonable and a true value when you consider the new customers we have gained as a direct result of our higher ranking in Google search. I had the pleasure of working with Semantic Advantage on a three-month SEO project for our ESL school website. I went into the project with zero SEO experience so put a lot of faith in Bruce and his team to not only deliver results, but also "hold our hand" throughout the process. Bruce was immensely patient and, to his credit, we now have the knowledge and skills necessary to continue future SEO work in-house. We were truly astounded by the vast improvements made to our search rankings in such a short period. For most of our target keywords, we went from not even being indexed by Google, to page one of the results! Way to go, SemAd! We appreciate you. How would you like to rate Semantic Advantage, Inc.